﻿ Corner Field Model Railroad Museum & Hobby Shop - Ohio. Find It Here. Corner Field Model Railroad Museum and Hobby has the largest family owned 3-rail layout in Ohio. It has over a thousand buildings, over 2,800 feet of track, hundreds of freight cars. Over a thousand lights, automobiles, tress and has the TW TrainWorx, Classic Landmark Series. Corner Field's railroad is set in a freelance style from the 40's to today's modern era from freight yards, to roundhouse, to major city and a major passenger yard. 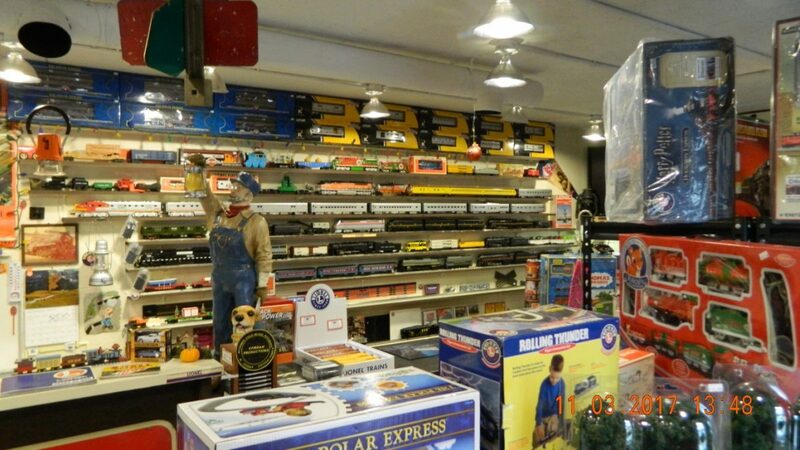 They specialize in used trains, Lionel, MTH, Williams, American Flyer, K-Line and Weaver.